The owner of 27 Main St. in Damariscotta hopes to open a farm-to-table restaurant in the building in July. 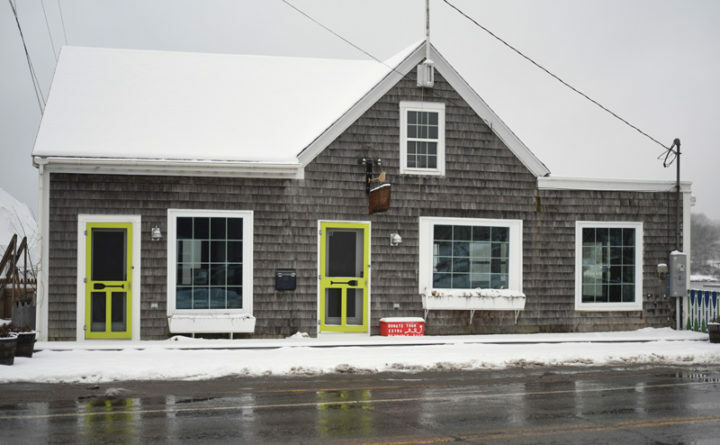 The Damariscotta Planning Board approved Eleanor Kinney’s application to open a farm-to-table restaurant at 27 Main St. on Jan. 7. Kinney of Bremen owns the organic Heart Farm. She said the downtown restaurant, The River House, will likely have 30 seats and feature a wood-fired grill. The restaurant will serve food made with ingredients from local farms, as well as local seafood. Jon Merry of Bremen will be the chef. The restaurant will likely be open for nine or 10 months a year, closing for a couple of months in the winter, Kinney said. Kinney’s building above the Damariscotta River and next to the Damariscotta-Newcastle bridge was formerly home to On the Water in Maine, a vacation rental agency. Erik Durbas of Erik Durbas Designs said the project would not change the exterior footprint of the building. The majority of the work will be to the interior, such as building a commercial kitchen and opening up the view to the river. Kinney said exterior changes will include the addition of a ramp on the front porch to comply with the Americans with Disabilities Act and the addition of a shingled enclosure on the front of the building to conceal a trash can and propane tank, which will heat the air intake to the building. The back deck will be reinforced for safety. Durbas said the pilings that hold up the waterfront building are structurally sound. Prock Marine Co. of Rockland will repair a few that have rotted this spring. Kinney said she has sent letters to the two abutters to the property, Schooner Landing Restaurant and Marina and the Howard & Bowie law office across the street. Planning board member Neil Genthner Jr. said Kinney will also need to send a letter to Damariscotta Fire Chief John Roberts. Board Chair Jonathan Eaton recused himself due to his friendship with the applicant. First alternate Dan Day voted in his place. The planning board granted Kinney a parking waiver, which means she does not have to provide on-site parking because the building is near the municipal parking lot. The board then approved Kinney’s application, pending a letter from the fire chief. Kinney said she hopes to open the restaurant in July. “I love downtown Damariscotta and I’m excited to be a part of it,” she said. The next planning board meeting will take place at 6 p.m. Feb. 4, at the town office.